How do big businesses get big? When you spend time thinking as a LOCAL business, you have to wonder how "the big guys" are so powerful? How do they have so much marketing strength? The truth is, these big guys actually deploy a tactic many local businesses are often apprehensive to adopt. They work together. Fact: CONSUMER buys more when you & your competitors are together! It's the best solution for the consumer. 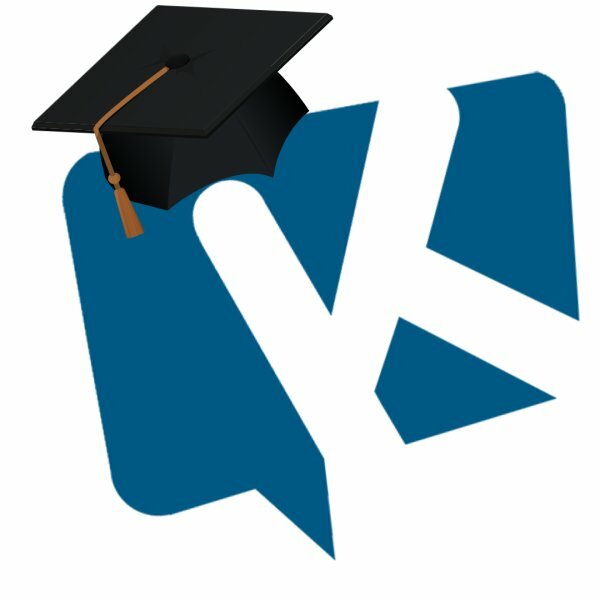 An educated/marketed consumer buys more. If you see 10 cereal boxes, chances are much higher someone will buy one. 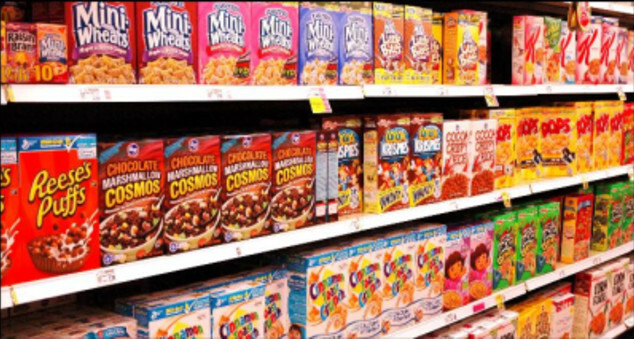 If you just saw 1 cereal box, chances are much higher the consumer might buy NO CEREAL. They might buy Jam instead. That's not good for the cereal industry. We all know the value of stocked shelves. 2. The Best Buy Flyer. LOOK CLOSELY! 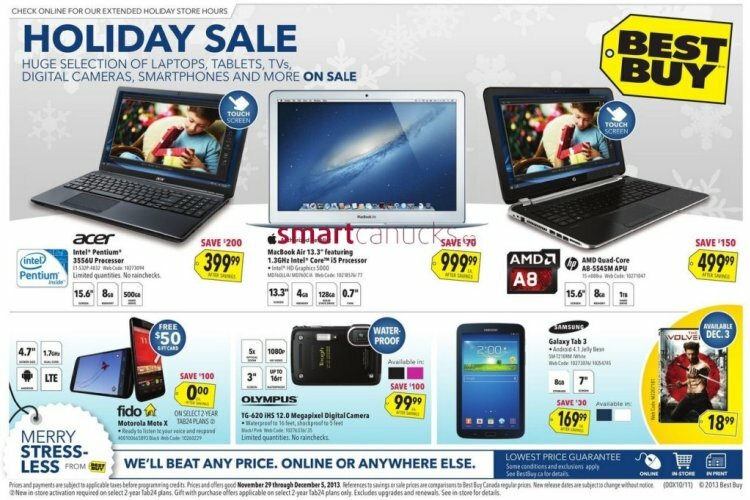 This image shows you a "HUGE SELECTION OF LAPTOPS!" WOW, imagine that, 3 massive brands, bigger than any local business found advertising on the same page. Together. Acer, HP and APPLE all presented together. Because by being all together, they know that there are increased chances in a consumer buying a single laptop vs. someone spending money on no laptops. So to increase their own sales in a collective industry, its COMPLETELY fine to increase your competitors sales. Everyone wins. So many local businesses fail because they try to go alone "afraid to build the competition". Sure, at times, you can find UNIQUE WAYS to spread your message. But this is a VERY EXPENSIVE proposition. Don't worry, in the long-term, your relationship with a customer and QUALITY service/product will always win. But, if you don't get your message out at all, no one will know you exist. Conclusion: You have to deliver your messages. We ask you a simple question? Would you rather grow with another LOCAL business or would you rather invest so much in marketing exclusively, that your LOCAL business fails? 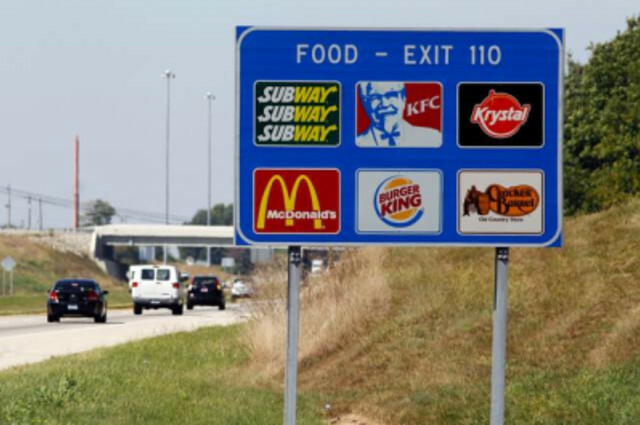 Look at this highway sign and you can see 6 BIG fast food restaurant chains all on the same sign. They compete. McDonalds, Burger King ,Subway, all want your money but they all agree to be on the same sign. No exclusivity. Because having someone eat at your competitor to increase your own sales is better than the alternative of them spending money somewhere else. Who loses in this road sign example? The local business group that didn't work together! What if there was no sign? Consumers just drive by. No one wins. Marketing together works. For ALL businesses. The reality is, LOCAL business often complains they cant compete on price, but they also continue to do their marketing alone and invest in expensive marketing strategies. This increases cost. This reduces the chances of competing on price. With expensive marketing, it sounds like businesses might be shooting themselves in the foot. This amazing African Proverb "If you want to go fast, go alone, If you want to go far, Go together!" says so much. $1,000.00 towards a Reverse Osmosis Drinking System! Have you been thinking about installing a reverse osmosis drinking system? How about a two for one? Click here for more information! If you are a community marketer or local business, we can help you reach more people online through the power of together.